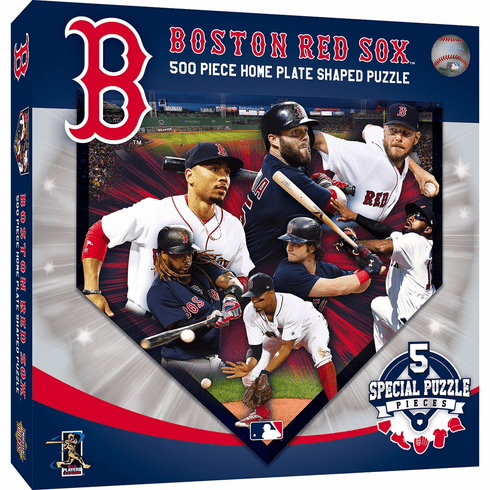 This 500pc Home Plate Shaped Puzzle of the Boston Red Sox is perfect for any Red Sox fanatic. This player themed puzzle features 5 individual sports shaped pieces for added fun. The puzzle is shaped like an actual baseball home plate measuring appx 25" x 22".